One of the most highly-anticipated releases for 2015 in the world of historical fiction is Nancy Bilyeau's The Tapestry, and I am very excited to be hosting a Cover Reveal & Giveaway for the third book in her Joanna Stafford trilogy. 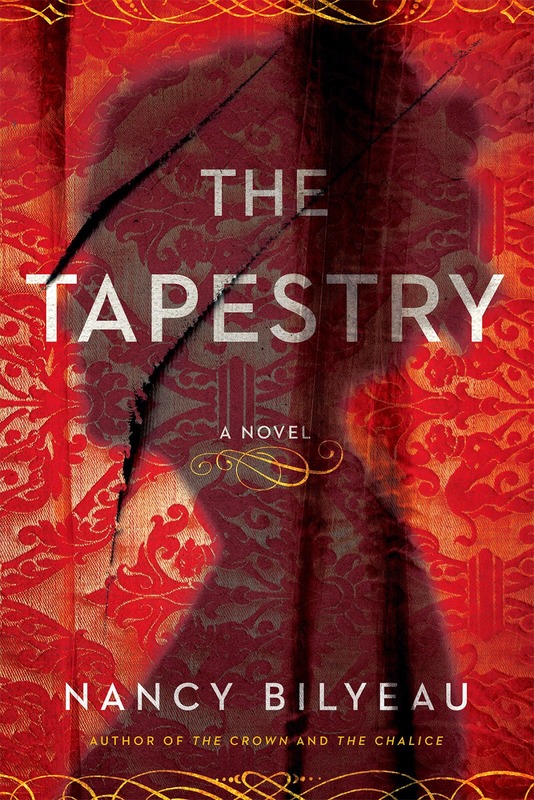 The Tapestry will be released in March, but I have a chance for one of you to win an early review copy! To win an ARC of The Tapestry please complete the form below. Giveaway is open to US & Canadian residents only and ends on September 13. So excited for this book! Can't wait to read it! What a beautiful cover. I can't wait for Tapestry to release! Gorgeous cover, one of my favorite series. Love the cover!!!! Thx for the chance! I read and loved both The Crown and The Chalice...looking forward to this one! Sounds like another good one! My fingers are crossed for good luck. Thanks! I've loved the previous two books in this series! Can't wait for book 3! Can't wait to read more of Joanna's story. The first two books in this series were amazing and I am sure this one will be too! Oh my, I'm so excited, but I really need to get cracking on *The Chalice* first! Time flies! Thanks, Amy. This looks like an interesting book. Thank you for the chance to win. Absolutely loved the first two and cannot wait for this one! Can't wait to read lovevthe cover. Love that you are having this. I have the two others of Nancy Bilyeau..
Read and thoroughly enjoyed the first two Joanna books. Glad to know about this third one. I've added it to my wish list, but would love to win a copy. Thanks for the giveaway. This book sounds so good and interesting. I haven't read any books by this author, but I am looking forward to it. The cover is so pretty. Thanks for having the giveaway. Can wait to read this sequel, thanks. Yay!!!! I am so excited for this book to come out! I have her other two and am nsanely excted about this one. I love the cover! Good cover--the progress of this series has been very intriguing! I would love to receive a review copy of Tapestry. Any story about Henry the 8th's reign is intriguing. I loved the "Chalice". Nancy Bilyeau always has the most intriguing covers, with a mysterious woman, who draws you into the story!